The Texas Association of Broadcasters is presenting a Steve Pieringer Award for the first time since 2005. This award is given only if the review committee feels a nomination has merit. Over the years, the Pieringer Award has recognized Texas news men and women for many different reasons, such as providing lifesaving continuing coverage in an emergency, or being jailed for refusing to reveal a confidential source and even for suffering injury or death in the pursuit of the day’s news. This year, the committee was concerned the notoriety of the award would cause harm to the recipient. But Will Ripley’s determination and valor could not go unnoticed. The Pieringer award is being presented to Ripley for risking his life to bring an important story to the people of Texas. 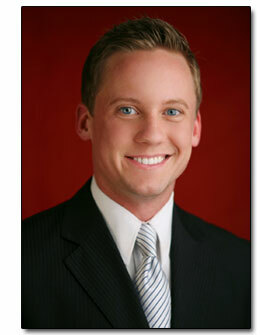 Ripley is a reporter at NewsChannel Five, KRGV-TV Rio Grande Valley. Four years ago, he started investigating the activities of the Zetas, a dangerous arm of the Gulf Cartel. He was only 22 years old. The Zetas carry out the business of the cartel, ferrying drugs and humans across the border. It’s their normal practice to kidnap, torture and kill anyone who gets in the way. Two Zetas sat down with News Channel 5 and said they sometimes feed their live victims to tigers. He broke the story with a Cartel member talking openly about how he regularly bribes local and federal law enforcement on this side of the border. Several Zetas have already threatened, kidnapped and killed reporters in Mexico. Ripley is no exception. His life is threatened every time he files a report. This story changed his life forever. Friends abandoned him. Nobody wanted to be seen with him. Every weekend for months, he either left the Valley or locked himself in his home to keep out of harm’s way. Still, he remained dedicated to covering the important stories impacting the drug and turf war South of the border. “When you set out to hire an employee you want to find someone who will lift your team up, set an example, be a leader. That’s what we found in Will Ripley,” said Jenny Martines, KRGV-TV news director. But he is always looking over his shoulder, making sure he is safe and not being followed. Through it all, Will Ripley has shown great internal strength for a young man of only 26. His vision is fixed upon making a difference as a journalist. He truly embodies the spirit of courage in the face of danger. “Will Ripley is an amazing reporter. He is not afraid to tackle any topic including violent gangs and gun smugglers,” said KRGV-TV General Manager John Kittleman. Steve Pieringer was a reporter for Dallas’ KRLD radio and television. In 1968, while covering a gasoline tank fire, he and several firefighters were overwhelmed by a secondary explosion. Two firefighters were killed instantly. Pieringer died from severe burns a day later. To honor Pieringer’s service to his community and to recognize others who have gone above and beyond the normal call of duty, TAB created the Steve Pieringer Award. It was given posthumously to his parents at TAB’s 1968 convention. Over the years, the Pieringer Award has recognized Texas news men and women for many different reasons, such as providing lifesaving continuing coverage in an emergency, or being jailed for refusing to reveal a confidential source and even for suffering injury or death in the pursuit of the day’s news.